John Parks Trowbridge MD is one of America's leading stem cell physicians. HUMBLE, TX, August 31, 2018 — Marquis Who's Who, the world's premier publisher of biographical profiles, is proud to present John Parks Trowbridge MD, with the Albert Nelson Marquis Lifetime Achievement Award. 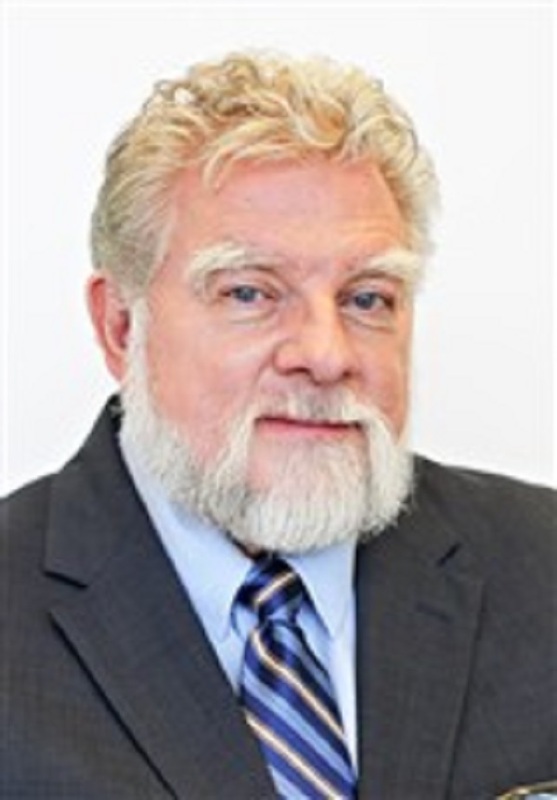 An accomplished listee, Dr. Trowbridge celebrates many years' experience in his professional network, and has been noted for achievements, leadership qualities, and the credentials and successes he has accrued in his field. As in all Marquis Who's Who biographical volumes, individuals profiled are selected on the basis of current reference value. Factors such as position, noteworthy accomplishments, visibility, and prominence in a field are all taken into account during the selection process. One of America's leading stem cell physicians, Dr. Trowbridge has maintained his private practice, Life Celebrating Health, in Humble, Texas, since 1978. Consisting of a Health Recovery unit, Pain Relief unit, and Life Long Health unit – he and his devoted support staff of many years are committed to a simple slogan: “Find it now – Fix it right!” Insistent on finding a cause where one is suspected through detailed history taking, hands-on physical exam, emerging tests, and novel reasoning, he cautions against assuming that drugs or surgery are the only real choices. He attributes his practice success to a simple unwavering devotion: pose challenging questions and actively seek out practical answers. An Eagle Scout, National Merit Scholar, and California State Scholar, Dr. Trowbridge earned a Bachelor of Arts in biological sciences at Stanford University in 1970 and Doctor of Medicine at Case Western Reserve University in 1976. He studied at the National Institutes of Health and wrote and produced a series of 12 videotapes for teaching congenital heart disease. He trained in general surgery at Mount Zion Medical Center in San Francisco, urological surgery at The University of Texas-Houston/Texas Medical Center, and master's studies in nutrition through the Florida Institute of Technology/Medical Research Institute, earning a Diplomate in Preventive Medicine in 1985. Having gained a broad background studying under leading professors in both medicine and surgery equipped him to step back and see “the big picture,” where complex patient issues become easier to understand and effectively treat. Dr. Trowbridge's 1976 Bantam Books bestseller, The Yeast Syndrome, is acknowledged worldwide as explaining confusing clinical presentations, especially those encountered in younger adults and also those in aging adults with unexplained illnesses. More recently, fungal markers identified in blood samples from patients suffering with dramatic, puzzling, often life-threatening illnesses have led Dr. Trowbridge to discover and develop treatments providing considerable recovery. Examples include severe skin sores, leukemia, bile duct cancer, elevated prostate PSA levels, lingering infections, immune deficiencies, all treated without conventional cortisone or chemotherapy. Fungal markers discovered in plaque blocking heart arteries suggest an evolving dimension in treating deadly cardiovascular diseases. Believing that people should get out of their pain and on with their lives, since 1990 Dr. Trowbridge's non-surgical treatments have helped people suffering with arthritis, neck and back pains, joint pains, and sports injuries. Recognized for his expertise in the blossoming field of regenerative medicine, he has coached over 3 dozen physicians to perform stem cell treatments for delightful recovery after years of suffering. Intent on sharing his innovative diagnostic and treatment perspectives, Dr. Trowbridge has been honored as an invited lecturer in Taiwan, Brazil, Canada, Mexico, and across the States. His patients travel from far and wide, frustrated with still feeling sick and tired despite the best of conventional care. Expounding on his passion to discover or develop effective treatments for desperate patients has led to Editor's Choice awards for chapters in books co-authored with luminaries Jack Canfield, Brian Tracy, and Larry King. An expert in heavy metal toxicology, Dr. Trowbridge's innovative “chelation therapy” programs remove lead, mercury and more, to revitalize the lives of patients with assorted degenerative conditions … even having had 2 patients removed from the heart transplant list as they recovered. While “detox” is now a popular theme in modern culture, his career-long strategies have given a powerful definition to the recovery of vibrant health. A recent book, Failure is Not an Option, clarifies the confusions surrounding how unique stem cell treatments can restore joint tissue structure and function, relieving pains even for those who have suffered for years. Among several other books by Dr. Trowbridge is Sick and Tired, which provides a welcome update to latest treatments for The Yeast Syndrome. Beyond articles and brochures, he has produced dozens of CDs and DVDs on integrative medicine topics, many derived from his earlier radio show, “Finally Feeling Better … Naturally, with Dr. John Trowbridge.” He has planned numerous professional meetings for organizations where he has served as president or director. Not wanting to be for his patients “one more in the long line of doctors who promised to help you and didn't,” Dr. Trowbridge continues his persistent curiosity into the fundamental mechanisms of disease and health. His continuing contributions are recognized by the 2014 Distinguished Lifetime Achievement Award from the International College of Integrative Medicine and being named a Fellow of the American College for Advancement in Medicine. A natural educator, he insists that people know that they do have health choices now – otherwise … they don't have any. Son of an Air Force bomber pilot, Dr. Trowbridge has had a particular enthusiasm for private piloting for over 40 years. He is the proud father of two delightful, accomplished daughters and beams with joy over his infant grandson. Notably, Dr. Trowbridge has been cited in more than 60 volumes of Who's Who, including Who's Who in America, Who's Who in Medicine and Healthcare, and Who's Who in the World. In recognition of outstanding contributions to his profession and the Marquis Who's Who community, John Parks Trowbridge, MD has been featured on the Albert Nelson Marquis Lifetime Achievement website. Please visit www.ltachievers.com for more information about this honor.